This is another “Kunjunni and Janaki Together Written” blog. Also known as KJTW blog. Once upon a time, in a land far, far away, there lived 5 children. Their names were Kunji chechi, Kunjunni, Janaki. Savithri and Shanku (age wise). Note- Kunjunni is only 6 and 8 months older than Janaki and Savithri respectively. Do not believe what he says about being a complete year older than them. Janu, you know I am sitting here. Yo, this is Janaki. And ya, this is my awesome cuz Kunj-unni here. Yo dudes, he wants to write this blog with me, I hope ya guys like this. Ok, back to reality. Reality. Reeeeaaaallllliiiiitttttty. Reality is sometimes boring. We like to be crazy. No, no, wrong. We are wild. Just like The Croods. Only thing is that we were born in the 21st century. Not in the century when there were huge man-eating flowers, a guy called Guy, and the world went BOOM! We also have Kunjunnis sometimes. 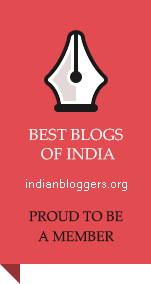 Thank you Noor for sharing my blog. Hope you enjoyed reading it.